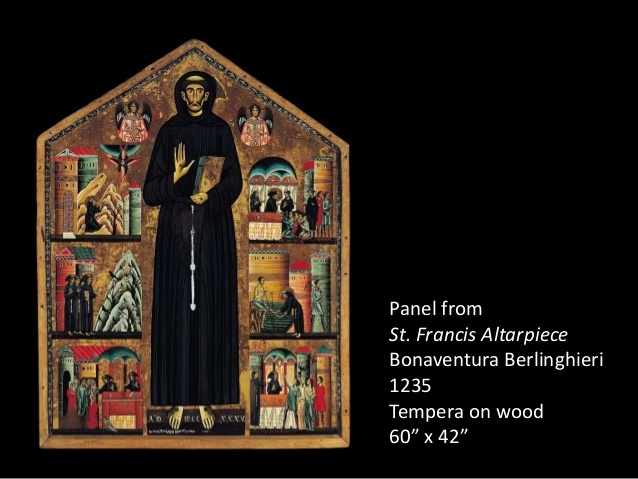 Kenney Mencher: What’s important about Bonaventura Berlinghieri’s altarpiece depicting St. Francis? 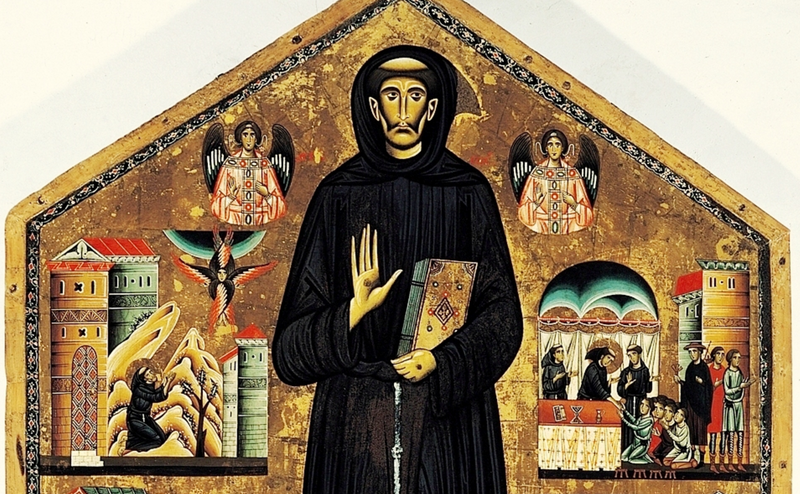 What’s important about Bonaventura Berlinghieri’s altarpiece depicting St. Francis? Probably the main idea why we study Bonaventura Berlinghieri’s is altarpiece is because it was created in a transitional time between the Gothic period of time and the early Renaissance. 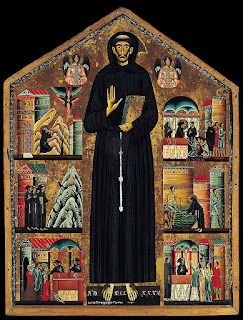 Because of its placement at a pivotal time and its subject matter, which is St. Francis of Assisi, in both sets the standards as well as represents the changes that occur both physically in terms of how things look and changes in thought during that period. 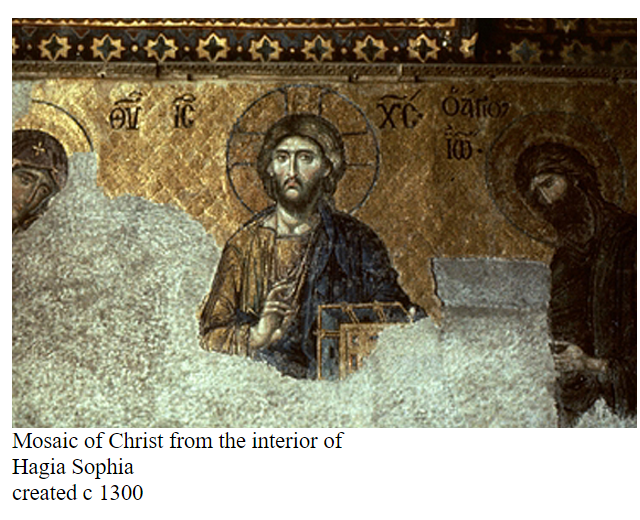 The physical qualities of altar painting from before 1300 or so in Europe are heavily influenced by a style that was developed in what we call the Byzantine Empire starting as early as the fourth century, especially in Greece and the region we know today as Turkey. There are many physical and visual characteristics that this altarpiece represents. This altarpiece was probably made on a piece of recycled what or panel. Most likely, it was assembled from a series of older pieces of furniture or panels of what that had time to petrify, another term for “age.” The reason why very old wood was used is that it was more stable than new work or greener would because it contained less moisture and the wood becomes harder and more stable as it ages. 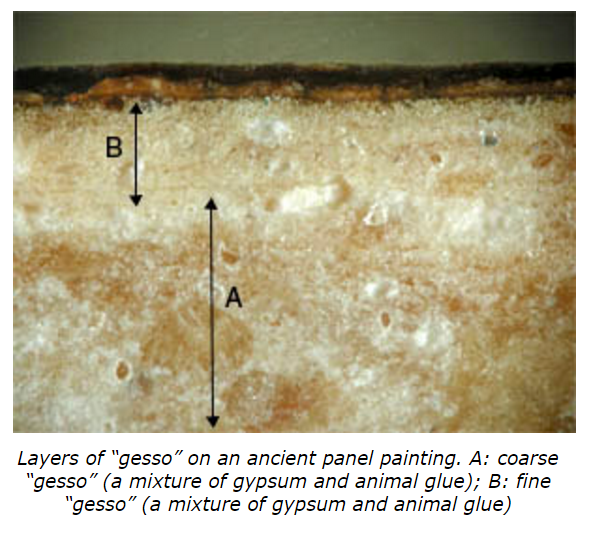 The panel was then coated with a series of alternating layers of a glue referred to as “gesso,” which is basically boiled animal hide which creates a type of glue or binder. Affixed to the panel with this gesso was plaster and canvas. Plaster is made usually from calcium carbonate also referred to as marble dust, and has a brilliant white sheen to it which allows for a consistent smooth surface on top of the wood that the paint can adhered to without any kind of chemical interactions occurring. The paint used on the surface of this panel was made out of a medium, a medium is literally a type of paint, called egg tempera. 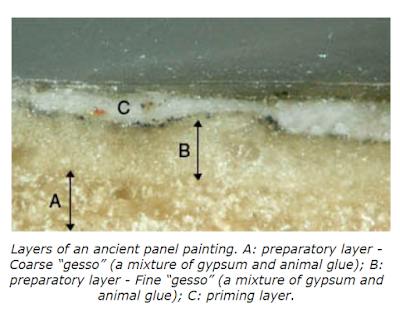 Egg tempera uses a combination of water, glue, and sometimes the egg whites or egg yolks to create a kind of binder that glues particles of pigment permanently to the surface of a panel painting. If you’ve ever tried to clean a plate that has dried egg on it, you’ll know why it makes a good medium. The pigments, also referred to as colorants or dyes, were often made by grinding up minerals or semiprecious stones. Sometimes other substances such as dyes made from plant or vegetal matter would be used as color mixed with the medium of egg and glue. This type of medium, egg tempera, would then be applied in small patches or hatch marks, that would be layered over time to create shading, tone, and color. Egg tempera was the primary type of color or medium used up until around 1400 when oil paint began to be used more often. The physical size of this altarpiece is also part of why we study it. It’s a little bit taller than 5 feet and so the central figure, which represent St. Francis, is life-size for the time. The composition could be described as bilaterally symmetrical. Which means that the figures St. Francis is flanked by an equal number of scenes or images on either side of him making the overall image appear even or symmetrical. Furthermore, the composition is subdivided on either side of Francis with three smaller scenes in which he appears over and over again. The way in which Francis and the scenes are painted is not very realistic or illusionistic. The anatomy of the figures is stiff and un–lifelike. 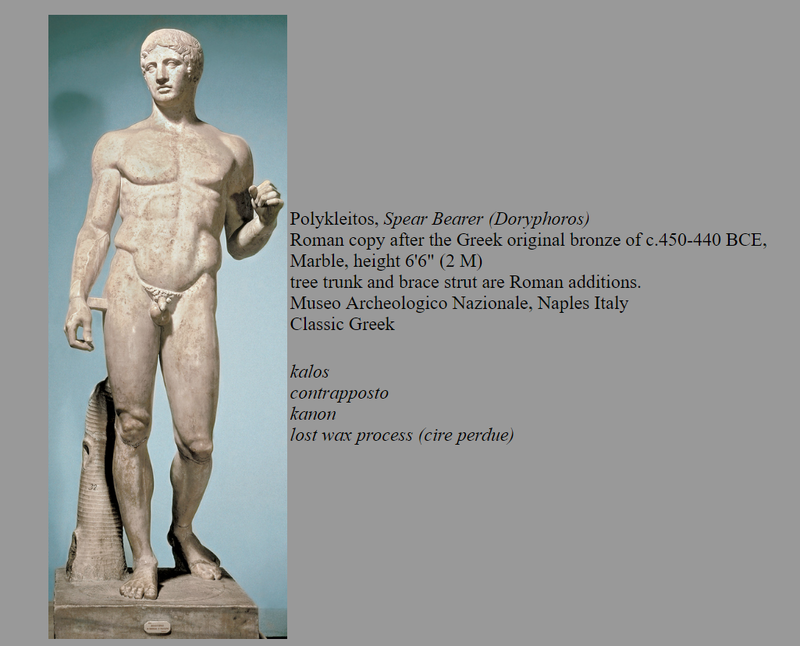 We can recognize that these are people however, they are not standing in naturalistic poses such as the “contrapposto” pose that we saw in ancient Greece and Rome. 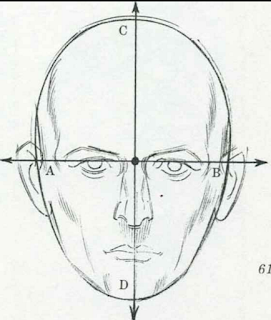 The proportions of the figure are slightly elongated, and the proportions of the face are also stylized or incorrect according to today’s standards of realism. 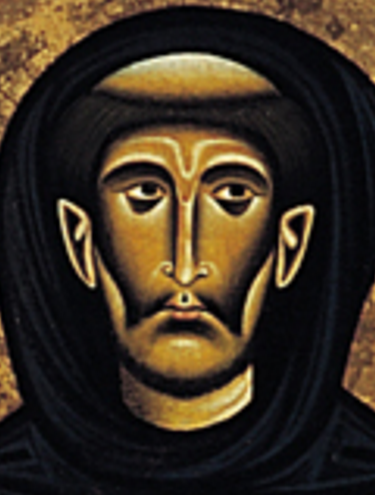 The proportions of the face for all the figures, adheres to a type of style, or visual convention, that comes from the Byzantine style. 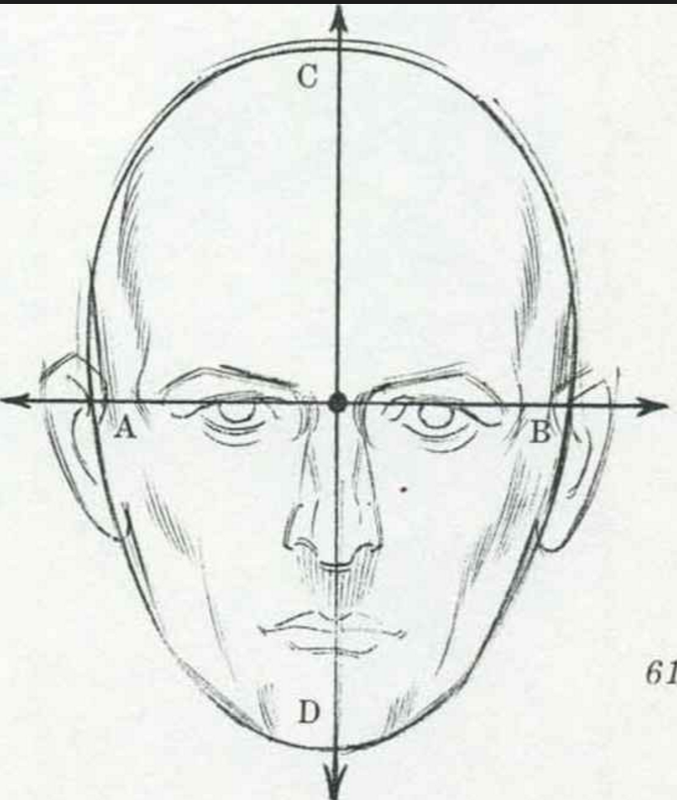 Sometimes this is referred to as “maniera greca.” Roughly translated as “the Greek manner,” the proportions of the face in the maniera greca style are that the eyes are located a little too far up in the fore head, the nose is a little too long and ends too far down the face, and the mouth is located a little too far towards the bottom of the chin. The scenes are not very realistic in terms of the illusion of space. The buildings and the figures sizes are not in proportion to one another. There is no illusion of space, there is no background behind the figures that would contain things like a horizon line, clouds, or a change in scale as things move further back. Today, we are used to something called linear perspective. This makes all of the parallel lines and straight lines on buildings makes sense to us, however, linear perspective was not used until 1400 and that’s why these buildings look odd. It is almost as if all of the figures are standing up against the front of the picture in a single line and the buildings, the small hill in one of the scenes, are not the right sizes when compared to the figures. There is also no light and shadow, or shading, that describe the figures for the buildings in a realistic way. There are some tonal variations or shading variations however, these are almost cartoons of what light and shadow look like and this will change about 70 years later after this altar was completed. The background of the altar and of the scenes on the left and right sides are made with thin sheets of gold glued onto the background and have very little or no variation in them. 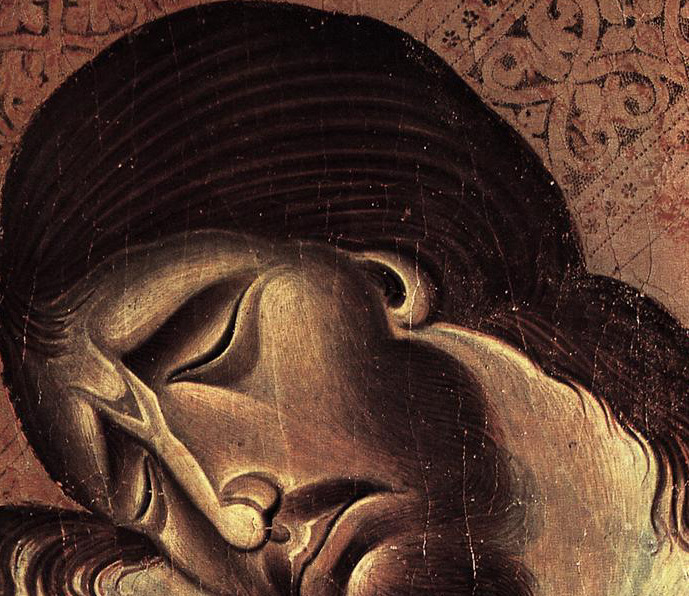 All of these distortions, stylizations, and rendering are part of a consistent tradition that had lasted for nearly 1000 years until the 1300s. Moving from physical description to an analysis of the content and meaning of this altar, it’s important to realize that the unrealistic way in which this was painted is part of its meaning. When Christianity, and specifically Catholicism, began to be organized and codified in the fourth century, eventually there was a controversy concerning the use of images because of the second commandment which states that, one should not worship idols or may graven images. Basically, what this means is that, Catholics believed that it was essentially wrong to make images of religious figures because of the idea that they might be worshiped as idols. This is referred to as the iconoclastic controversy. Eventually it was decided that the creation of “icons” and religious art was acceptable because it allowed people to learn from the imagery. 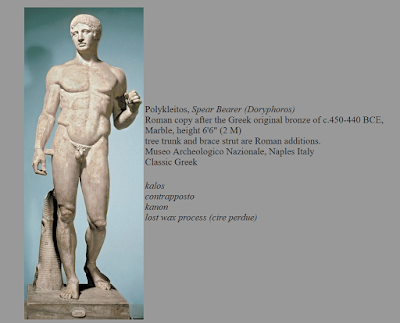 As the Roman Catholic Church became more powerful, and there was a call or a demand for religious imagery, a kind of cartoon style, the maniera greca, was chosen because it was not illusionistic and therefore not like the Greeks and Romans “pagan” style of art. Probably, also because it could be mistaken for something real. The creation of religious art and religious icons such as this altarpiece, was then seen as a way of educating people about religion, and the religious figures one was supposed to emulate. 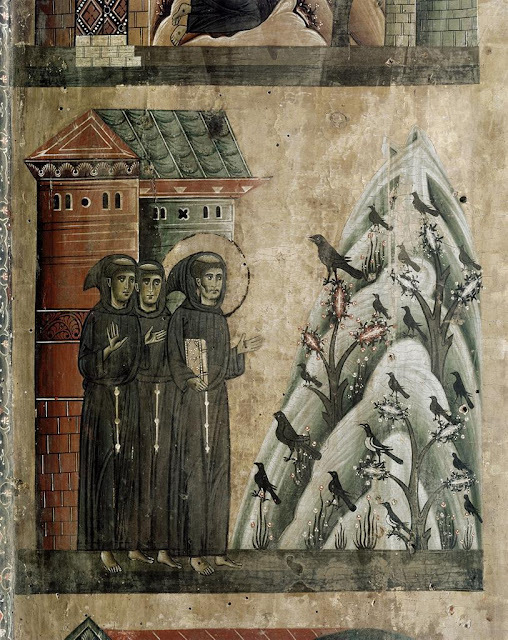 By the time of St. Francis of Assisi, some social and economic changes began to occur. St. Francis represents many of these changes in the viewpoints of Catholics at this time and so this painting of him and the scenes of his life represent many of the concepts that the common important during the Renaissance. For example, St. Francis to stands in the center of the painting, was important reformer of the Catholic Church. He is represented here with a haircut that’s called a monks tonsure. This style of cutting a religious person’s hair was meant as a way to make them humble because it was considered to be a less attractive hairstyle than a full head of hair. In this way it would humble people involved in the church, by making priests and monks less attractive. Part of this is probably because priests and monks at this time were supposed to be celibate. St. Francis also holds a book which is very similar to the “book of the world” or “libris mundi” that is depicted in many representations of Jesus from the Byzantine Empire. He also has wounds on his hands and feet, called the “stigmata,” which were bestowed upon him by God in honor of his religious sacrifice and integrity. People who received the stigmata were thought to be blessed by God because the wounds were in emulation of the ones that Christ received on the cross. Francis is represented wearing a simple robe, barefoot, and a Baroque belt with three knots in it. This clothing represents the main ideas behind the order of Catholicism called the Franciscan order he began. The main tenets or concepts are poverty, chastity, and obedience. Francis is not wearing expensive clothing and this is part of the value system he believed in. The life and times of St. Francis are depicted almost as if they are a comic book on his right and left hand sides. The various scenes represent important episodes in which Francis acted in a way that led him to a kind of spiritual enlightenment. After Francis was freed, as he was returning home Francis gave away his cloak and other worldly possessions. He then proceeded to give away many of his father’s possessions all in emulation of the charity and non-materialism that Jesus espoused in the New Testament. After he did this, Francis was given the right to start a new type of “order” in the Catholic Church now called the Franciscan Order. The main concepts being, poverty chastity and obedience but more importantly a life given to acting or emulating Jesus Christ when he was on the earth. There are other stories after she becomes a monk in which he receives the stigmata from a type of angelic creature called the seraphim. We see this in the upper left-hand corner of the altarpiece. 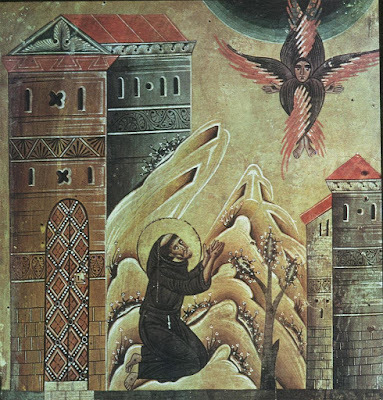 There are also other scenes of Francis is good works circulating around him one of most notable is his sermon to the animals in the garden in which she expressed the idea that while animals may not have a soul like humans have they are part of God’s creation and should be honored and should be aware of God. 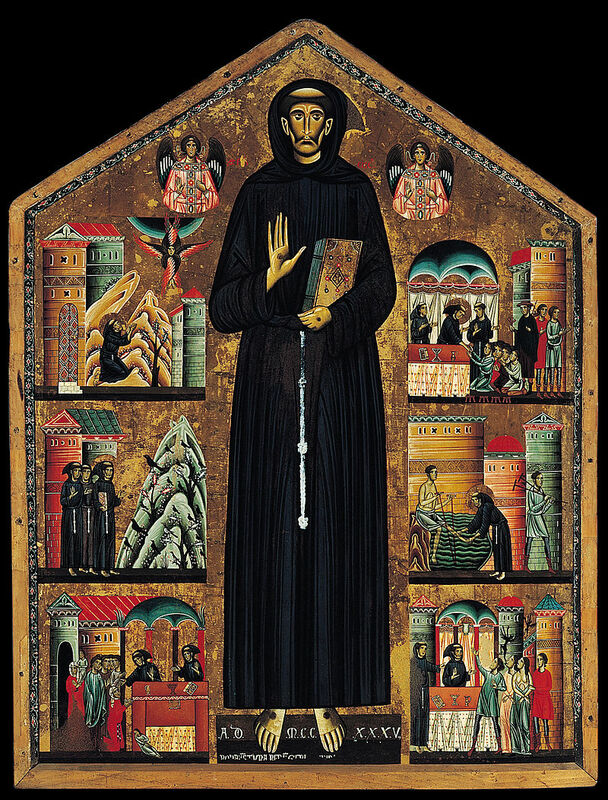 The take away from all this, and why this altarpiece and St. Francis are particularly important is that this altarpiece represents a fusion of some of the traditional imagery and art styles from earlier periods with some new radical ideas concerning religious reform that Francis brought about. The most important being that Francis advocated that all people should live and behave in such a way that they are copying or living life in the way that Jesus would.